Maryland’s Fifth Congressional District is one of the fastest growing areas in the State of Maryland. Congressman Hoyer has worked very closely with state and local officials to ensure that our transportation infrastructure is prepared to meet the needs of Fifth District residents, businesses, and Federal facilities. Over the years, Congressman Hoyer has helped secure the reconstruction of the Baltimore-Washington Parkway, the restoration of the Suitland Parkway, federal funding for Metro rail capital improvements, and the Southern Maryland Commuter Bus Initiative. 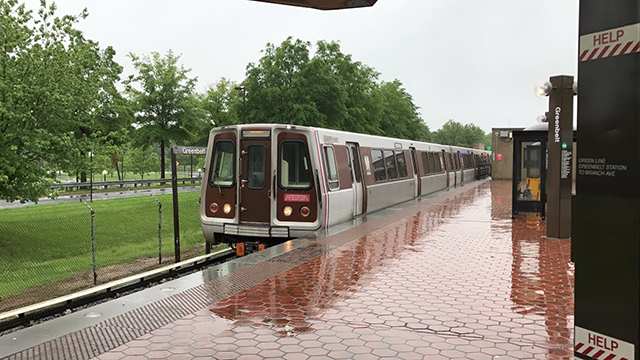 He continues to secure funding for the ongoing construction of the Purple Line, a 16.2 mile light rail line which will connect Prince George’s County and Montgomery County. In 2017, Congressman Hoyer sponsored legislation to establish the Washington Metrorail Safety Commission to improve the safety and reliability of Metro. He believes that a sustainable and reliable source of funding is the only way to address Metro’s long-term capital needs. More than one million people rely on WMATA rail or bus services to get around the National Capital Region each day. I enjoyed learning more about the important work done by the Regional Manufacturing Institute of Maryland to help businesses in our state be more competitive and energy efficient. I join in welcoming the start of a new session of the Maryland General Assembly. I am very pleased that the Federal Transit Administration has finally signed the Full Funding Grant Agreement with the Maryland Transit Administration, officially committing federal funds to this critically important project. Thank you, Mr. Speaker. Yesterday, President Trump laid out his budget request for next year. I appreciated the opportunity to meet with mayors and representatives from Northern Prince George's County this afternoon to discuss the impact potential federal budget cuts will have on their communities.